Special clinical interests in electrophysiology and diagnostic procedures, ablation of atrial, supraventricular and ventricular arrhythmias (including epicardial access) and device implantation including ICD and CRT. Prior to joining the HeartCare Victoria (now GenesisCare) team in 2014, Dr Tina Lin graduated from the University of Melbourne Medical School in 2004 and went on to complete her Advanced Traineeship and Pacing Fellowship at the Austin Hospital – Heidelberg in 2012. Awarded the prestigious EHRA (European Heart Rhythm Association) Fellowship in 2012, Tina studied for two years under the guidance of Prof Karl-Heinz Kuck (recent European Heart Rhythm Society President) at Asklepios – Hamburg (GER), where she trained in electrophysiology studies, and ablation of complex atrial and ventricular arrhythmias using a variety of novel ablation and mapping methods. Tina’s areas of special clinical interest include Electrophysiology and diagnostic procedures, ablation of atrial, supraventricular and ventricular arrhythmias (including epicardial access) and device implantation including ICD and CRT. Tina has a particular interest in the management of Atrial Fibrillation, with a focus on improving the role of ablation in patients with persistent AF and AF in the setting of structural heart disease. In addition to being a valued member of the GenesisCare Victorian device team – one of the largest in the state, Tina also runs Victoria’s largest remote device monitoring service, and shares her expertise by co-supervising the Austin Health Cardiac Resynchronisation training course. 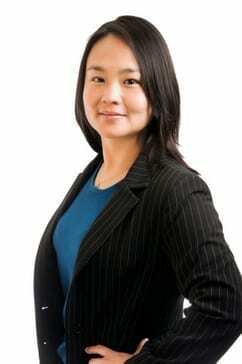 Given her wealth of international training experience, Tina is also fluent in English, Mandarin and German.